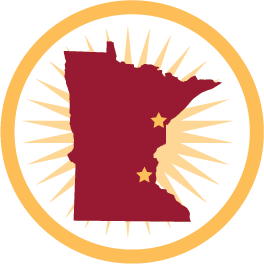 Since our founding in 1892, the University of Minnesota College of Pharmacy has improved the health of Minnesotans and people around the world through innovative education, pioneering research, and interdisciplinary practice development. Our faculty, staff, students, alumni and partners work together to shape the field of pharmacy, accelerate innovations in education, drug discovery and development, healthcare, economics and policy, pharmaceutical care, medication management and progressive practice. We are consistently recognized as one of the best pharmacy schools in the nation - we are currently ranked #2 by U.S. News & World Report. Building on our foundation of excellence, today we continue to advance pharmacy education, research and practice to tackle society’s toughest healthcare problems. Improve health through innovative education, pioneering research, and interdisciplinary practice development that attends to the diverse needs of the people of Minnesota and the world. The University of Minnesota College of Pharmacy is a national leader in education, practice and policy. Our alumni are health care leaders from industry and association leaders, to deans and practitioners leading in their profession and community. The vision of the University of Minnesota College of Pharmacy is to be a leader that enhances health in Minnesota, the nation and around the globe through innovation in pharmacy education, research and practice. The College of Pharmacy offers PharmD, PhD and MS programs on both the Twin Cities and Duluth campuses. Faculty and staff are shared between the two campuses, which also share the same curriculum. ITV technology is used to keep the campuses connected. Nurture exceptional and visionary pharmacy thought leaders rooted in a culture of excellence and innovation in education, research, practice and community engagement. Provide a dynamic educational experience to a high-achieving, diverse student body, thus empowering them to become leaders in patient-centered, interprofessional care. Lead innovative research in pharmaceutical sciences and patient care through embracing the value of interdisciplinary work. Cultivate relationships with patients, decision makers practitioners, and other key stakeholders to meet changing needs, model patient-centered care, and shape the evolving health care system. Prepare graduate students, residents and post-doctoral fellows to become the next generation of scientists, advanced practitioners and educators. Foster a culture of inclusivity that attracts and retains an outstanding and diverse faculty and staff. 168 students per class (108 at Twin Cities, 60 at Duluth). Three years of didactic/lab coursework integrated with some early experiential learning. One year of experiential clinical work at sites all around the state. In 2016, the PharmD program received full eight-year accreditation by the Accreditation Council for Pharmacy Education. The college offers primarily online and hybrid learning for undergraduates, other health professional students and pharmacists, and is accredited by the Accreditation Council for Pharmacy Education for their continuing education programs.